India and New Zealand will lock horns in the third and final T20I in Hamilton on Sunday to decide the series winner. It is currently locked at 1-1 and a first T20 series victory in New Zealand will be the icing on the cake for the ‘Men in Blue’. India have a phenomenal record in T20I cricket over the last 12-15 months. The past three months have made for a memorable phase for the Indian cricket team; they won their first Test and bilateral ODI series in Australia followed by the biggest one-day series win in New Zealand. They have not lost a single series having won seven and drawn two of the nine series they have played in this period (since October 2017). Their record in ODI cricket is no different. They have won 13 of the 15 series/tournaments they have played since June 2016. Rohit Sharma has never lost a T20I series as a skipper and he has a side which can keep the record intact. Kane Williamson and his team have shown that they are a force to reckon with in the shortest form though, especially when they are in home conditions. 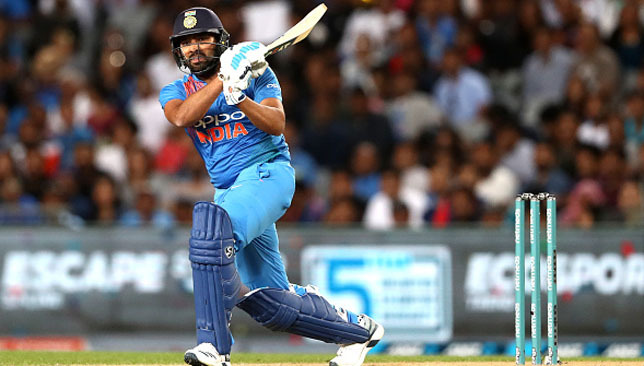 Stand-in captain Rohit Sharma entered the T20 record books on Friday during India‘s thumping win in the second T20 against New Zealand in Auckland. India restricted the Kiwis to 158-8 following a superb comeback by their bowlers who went for 219 in the first match. The men in blue were always in command during the chase as Rohit top-scored with 50 to help chase down the target in 18.5 overs and with seven wickets in hand, leveling the three-match series 1-1. 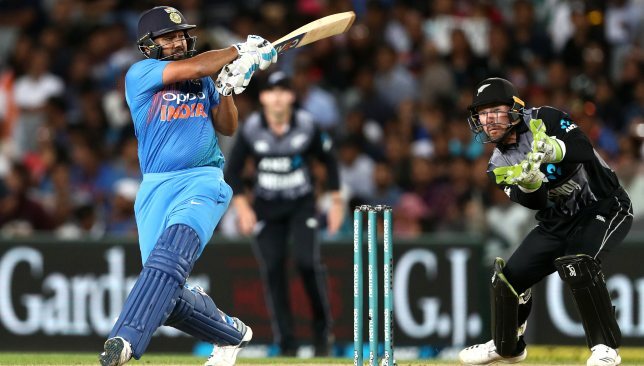 Opener Rohit’s 16th T20 fifty took his career tally in the format to 2,288 runs, overtaking New Zealand’s Martin Guptill on 2,272 to become the highest run-getter in T20s . The 31-year-old – who made his T20 debut in 2007 – averages 32.6 in 92 matches. During his match-winning innings, Rohit also smashed four sixes. That took his career sixes tally to 102, becoming only the third batsman in T20 history to breach the three figure mark. He is now behind only Guptill and Chris Gayle, who are both on 103 sixes. Despite a record-breaking day, Rohit was more pleased with the all-round performance his team put in after losing the first match by 80 runs – their heaviest in history. “I’m very pleased with how we bowled and then we were quite clinical with the bat as well,” Rohit said. Kiwi captain Kane Williamson said India’s bowlers didn’t allow the hosts to make the most of Eden Park’s short boundaries. India comfortably beat New Zealand by seven wickets in the second Twenty20 international at Auckland’s Eden Park on Friday to level the series at 1-1. 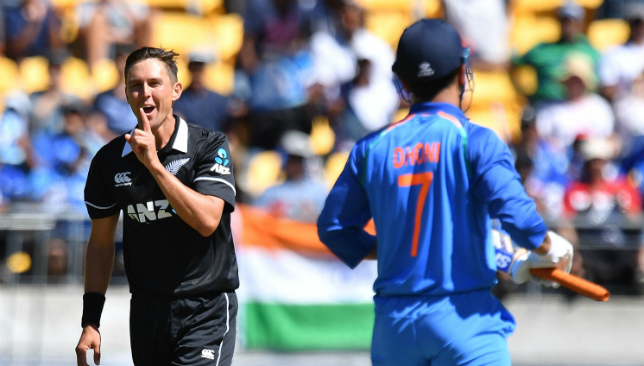 The Blackcaps – who dominated the previous clash, winning by eight wickets – set India a small total of 159 and the tourists raced past it in 18.5 overs, finishing at 162 for three as captain Rohit Sharma led the way on 50. Indian paceman Krunal Pandya was man of the match, taking three for 28. New Zealand’s standout performer, Colin de Grandhomme, scored his first T20 half century. The nations meet again for the decider on Sunday at Seddon Park.